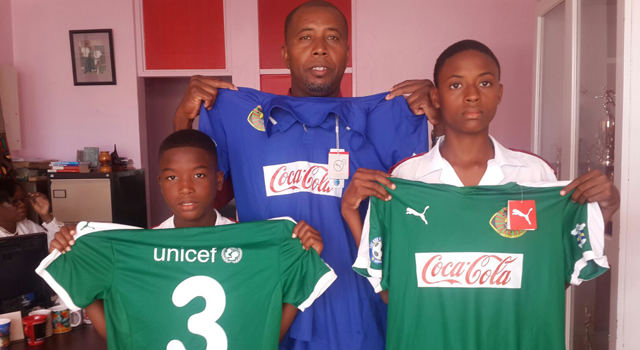 Within its “School Programme 2016”, a football initiative in Barbados in conjunction with the Barbados Secondary Schools’ Football League (BSSFL), THE BREWSTER TRUST expanded its longtime commitment with further equipment support. THE BREWSTER TRUST provided equipment to further schools; back in 2013 the charity equipped 21 secondary schools with 13 female and 20 male teams. 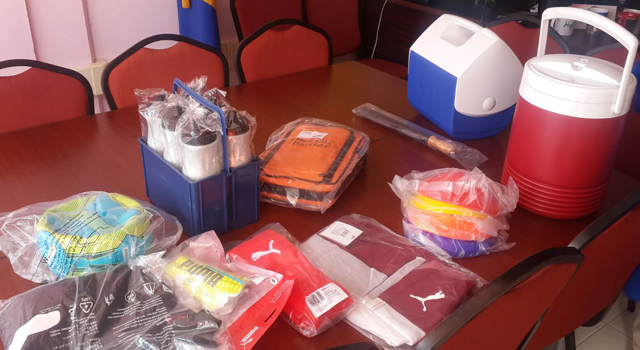 The individual package included as before a full kit for 22 players with shirts, shorts, socks, goalkeeping gloves, shinpads, bibs, teambag as well as 25 footballs, ball bags, ball pump, foldable mini training goals, marking cones, first aid pack, ice box, water cooler or water bottles; the new beneficiaries are Alexandra School (boys’ team), Combermere School (boys’ team), Ellerslie Secondary School (girls’ and boys’ team), Graydon Sealy Secondary School (boys’ team) and The St. Michael School (boys’ team). Princess Margaret Secondary School and The Lester Vaughan School received for their female and male teams new sets of kit.